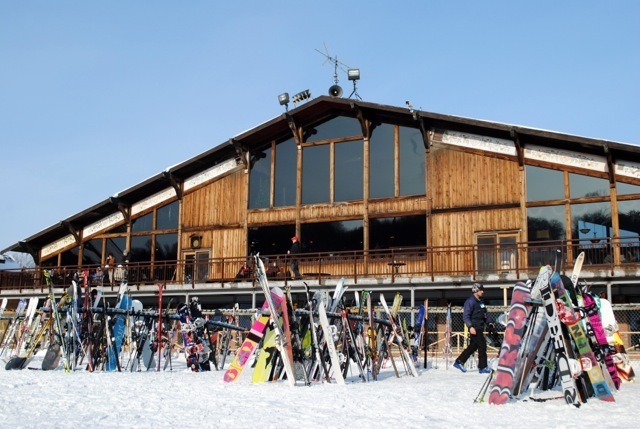 Trollhaugen, located 50 minutes North of Minneapolis - St. Paul in Dresser, WI, offers skiing and snowboarding on 22 runs, 4 terrain parks, a 2.5km XC trail, 10 lanes of snow tubing, and an all-season zip line park. Open until 3 a.m. every Friday in season with live music in the lounge, Trollhaugen offers "Minnesconsin" residents 100% snowmaking and night skiing/snowboarding all season. Ski and snowboard school including youth ski/snowboard programs. Get Snow Reports, Powder Alerts & Powder Forecasts from Trollhaugen straight to your inbox!